Below is a selection of our customer's testimonials, please click here to view our most recent testimonials and video testimonials from our previous customers. "All staff were very friendly and helpful. " "All went very well a good job." "We are very pleased with the installation. The workforce were very courteous and job was completed ahead of schedule. We would recommend Able Canopies and would have no hesitation using them again :)"
"A very competent team of professional installers. Job very well done. Thank You." "Robin and the installation team were professional, helpful and courteous throughout. I thank them for their hard work." "Good hard working team! Clean and tidy"
"As always a truly fabulous install with fantastic installers." "I am very happy with the service we have received, the installation went smoothly and there were no problems." 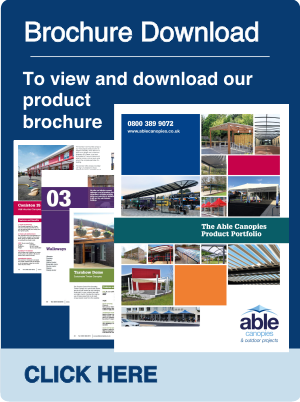 "Able Canopies Ltd have undertaken jobs at two of the schools I help maintain for Somerset County Council. One job was at Bowlish Infants School - Shepton Mallet which involved the construction of a new polycarbonate mono-pitched children's shelter attached to the main building, which was carried out on time and to the quotation cost in a professional manner and to a well constructed standard. The other job was carried out on my recommendation to the head at Horrington Primary School - Near Wells but under the head's direct management. This was a similar polycarbonate mono-pitched children's shelter but erected in a difficult location attached to the main building but surrounded on three sides by existing structure. Although I didn`t deal directly with Able Canopies regards this job, I did inspect following construction and again I am happy with the works undertaken from a construction/appearance point of view. I look forward to future working opportunities with your company and won't hesitate to both recommend your services to others and hopefully utilising them again myself." "The staff, client and consultants who have visited the scheme have been very impressed by the finished works and are looking forward to operating from their modernised facilities and the difference it will make to the many different groups who use the centre. It is with pleasure therefore that we write to thank you and all of your team for the effort and care undertaken whilst working on the project and in particular the sensitive manner in which the works have been undertaken. We would be very grateful if you could therefore pass on our thanks directly to your foreman and tradesmen and look forward to future successful schemes together." "The new timber canopies are truly special & really enhance the experience of outdoor socialising for students. I would like to comment on what an excellent job your workmen have done and what a lovely group of workers they were. If I need any further canopies I will definitely be in touch!" "Wayne & his team carried out the install very professionally and worked around other work going on. The service provided was excellent and the new canopies look as good as expected." "I am absolutely delighted with the canopy. It is exactly as we had hoped and more. Both Robin and the gentleman who fitted the canopy have been completely professional and were perfect gentlemen. I cannot thank them enough on behalf of the nursery and the children. They completed the work to the highest of standards and with no disruption to nursery running as normal. Of course the children and staff were delighted with the finish and are sure to boast of the wonderful job they did." "We were amazed at how quickly and efficiently the canopy was installed. The children can't wait to go and play under it. Thank you." "The team worked efficiently to install the canopies to an extremely high standard. Extremely long hours were worked to install the canopies with some tricky spaces. The team were happy to consider all options and consult to check the customers were satisfied." "The canopy is going to transform provision for teaching and learning outside. Come rain or shine – the pupils can learn outside. The fitters were excellent – continuing to work in the rain. There was no mess at all. Thank you!" "Excellent service as always. Kevin and his team are a joy to work with and the installation was carried out in very difficult conditions. Restricted access to two internal quad areas plus the hottest summer added to the challenges of the installation. But the school remained in full session and I was never called to trouble shoot - thank you!!" "From start to finish, Able Canopies have been excellent. 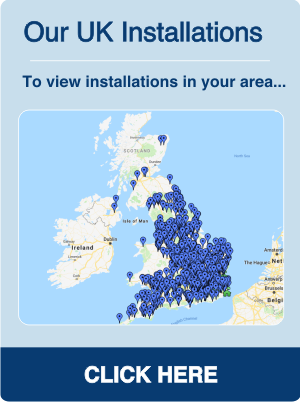 Great service from initial contact through to completion, knowledgeable staff who kept us informed, installation teams who really did put every effort into the task and not one iota of dodgy sales or technical jargon anywhere. It is almost impossible to do justice to the quality of their product, value for money and thorough professionalism in a mere paragraph of feedback. 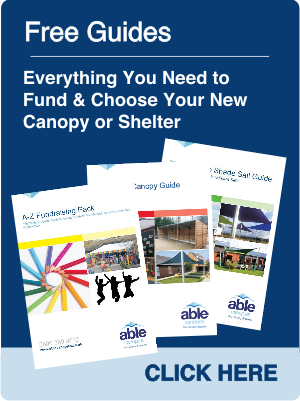 Do yourself a favour, if you're looking for a canopy company, call Able Canopies, because you won't be disappointed." "The service and product were excellent - exactly what we wanted! Despite concerns over having them installed during term time, the workmen were polite, pleasant, professional and caused very little disruption - we hardly knew they were here. We are very pleased!!" "We are delighted with the service and products Able Canopies provide. We are a small nursery school who has used Able Canopies three times and have been impressed with the price, installation and customer service received." "Excellent installation team. Very considerate and hard working!" "A wonderful job again - quick and efficient would definitely recommend Able Canopies and use again. Thank You"
"Excellent service, in very difficult weather conditions. It has been the coldest week this year with freezing daytime temperatures and your guys just got on with it! They were always cheerful and polite and very considerate of not only the children and parents, but staff too. They have left the site very clean and tidy and we would certainly recommend your company." "Excellent service from initial visit to final completion." "Excellent job! Very professional, efficient and tidy. Gate is super! Many thanks. Having the canopy has made such a difference, the children are able to play outside under cover rain or shine! We would recommend Able Canopies." "Very efficient during the installation. No fuss - brilliant work. Delighted to have the canopy. It will be perfect for the children playing outside when the weather is hot. It will be wonderful not having to move the sand and water tray to shaded areas in the play area to keep them from getting too hot (the children!). Parents can spend more time with their children knowing they can sit in the shade watching them play quite happily. Ideal for children on traction not able to get off beds, they can be transported on their beds outside under the shade - perfect!! Many thanks." "Delighted with our new canopy. It opens up a world of opportunities." "We have spoken many times about our desire to achieve world class award winning quality and after the reaction from our client today I believe that we have achieved it. I would like to offer my personal thanks to you and your workforce for a magnificent, outstanding performance and quite simply without the care dedication and sheer hard work demonstrated by all, we would not be where we are today. " "This is an expert product, expertly fitted and both parents and pupils were very impressed when they saw it for the first time!" Side and front fills were fitted after the canopy was installed. Roxbourne Middle School had this to say about the side fills: "The side panels have solved the wind flow problem and the shelter is now really cosy"
"The canopy was installed within one day, causing very little disruption to the playgroup. We have had many positive comments from parents and more importantly the children love it too. We are very pleased with the finished result." "Very professional service provided throughout, from sale to installation. Support in negotiating building regs minefield invaluable. I would have no hesitation in recommending this company in the future." "Brilliant company; they do exactly as you ask and are willing to work in extremes of weather. When a problem arrived, it was very quickly solved. Couldn't ask for more." We would all (children and staff) like to say “thank you” for the amazing job that you and your staff did in installing our canopy; You could not have been more helpful or patient and your advice was invaluable. I think there were a lot of administrative staff dreading installation - but your team proved them wrong they were efficient and considerate and were finished in record time. With the spate of hot weather we have been having the canopy has come into its own, it has transformed a classroom that used to turn into an oven in the summer into a pleasant place to work and has provided much needed shade and protection for outside play. Thank you again." "Can I take this opportunity to formally pass on my thanks to all your staff that we have dealt with so far. I have been very impressed with how this order has been processed, the staff I have dealt with have been remarkably friendly and helpful and the speed and professionalism you have shown putting together the quote and handling our queries has been nothing short of exceptional. I deal with lots of companies and organisations and it's very rare to come across such a friendly but professional setup!" "I would like to bring to your attention the true professionalism in which the project has been handled by all of your staff who have been involved. I feel particular reference and thanks needs to be made to William who sorted the planning – I explained to him that I had limited time, and he respected this and sorted the matter in hand. The gentleman who visited the school to carry out the paperwork again conducted the exercise in a very capable and highly professional manner. I cannot praise enough the work of Dean who came onsite to conduct the installation. His work and manner in which he operated was exemplary. We are very satisfied with the project and the way in which it has been dealt with." "From initially contacting Able Canopies to the completion of the installation, the service has been very professional. The installation team were very efficient and very accommodating whilst working outside a classroom of reception children. Many thanks." "The reception teacher was very impressed with the guys who were on site, they were very polite and extremely helpful, please pass our thanks to them." "We are very pleased with the new canopy. The team that fitted it were efficient and pleasant lads!" "Excellent installation and a fantastic, friendly team who have been very helpful courteous." "The product met all of our requirements. Excellent installation and (the) staff (were) extremely pleasant. A really good job - we are very satisfied. Thank you." "Very efficient installation team. The whole level of service was second to none from quotes, from admin, through to installation on the day. Great job!" "We are thrilled with our new canopy, it completes the overall appearance outside of our new building. The men onsite were very professional, which allowed us to stay open and offer our parents their child's provision with no disruption." "We are delighted with our new canopy and the colourful bumpers/bunting looks very attractive in our primary school." "A fast and efficient service which met our tight budget. An exceptional product delivered by a very professional team." "Excellent service throughout the project. The installation team, where required, liaised throughout the whole project and were excellent! A very professional team!" "The staff were all very friendly and helpful and the service we received was efficient and professional. Having our awning in place has made a huge difference to our pre-school. The children are able to have much more access to the outdoors which they love. We have been able to do more outdoor activities such as planting seeds and growing vegetables, and offer new fun and stimulating learning opportunities whilst enjoying the benefits of being outside. It is even better than we anticipated and we have received lots of positive feedback from the community. The children love it and we have been able to build it into a learning opportunity for them as they recognise the importance of keeping safe in the sun." "Arrived on time, fitted on schedule. A great service. If only everything in a school was this easy." "The team sent by Able Canopies were very professional, they worked well with the school to ensure that there was as little disruption as there could be. The installation was completed on time we were very satisfied with the total process and would recommend the service to others." "Installation was very quick - very professional. Very helpful staff who worked around the children very well. The canopy looks fantastic - the children and staff will really enjoy using it." "I am very pleased with not only the product supplied by Able Canopies but by the professional staff that you employ! They worked without any disruption to us and they were very polite! Big Thanks!" "I would like to take this opportunity to write just before your team leaves our school site to say a huge thank you to the company for their professionalism and outstanding hard work. The pre-site inspection and meeting were very reassuring to me as a manager who has the duty and care of the children and staff as a priority. We would also like to congratulate the outstanding work of your construction team. They have been working in some terrible weather and have kept to time perfectly. They have been polite, courteous and more than helpful to both staff, parents and children. Safety has been their priority at all times. We have been able to welcome them into our school for a couple of lunchtimes without hesitation and they have even provided a brief 'learning opportunity' for our pre-school, answering questions about their work and tools. All round a most satisfying experience which I will pass on to my colleagues/heads in the local community." "I will fully recommend Able Canopies to any of my colleagues looking for a quality canopy and excellent service." "The team were friendly, efficient and were excellent on site. They provided an excellent level of service and were sensitive to working on site during a 'normal' school day. We would recommend Able Canopies." "The work men were polite and considerate and very hard working. The product is functional and aesthetically pleasing. A big thanks for fixing our guttering too!" "I have been kept in contact all the way through. The Workmen were quick and gave good advice." "We were very impressed with the professional service, and really pleased with our all year round sun and rain protection for our children at the Willow Tree Day Nursery." "From beginning to end the work carried out was exemplary. Your staff were polite and courteous at all times and did not interfere with the running of the school. Thank you." "Satisfied with final completion of work, and remedial work dealt with promptly. Our feedback and concerns taken seriously - Thank you"
"Quick and efficient installation. Our canopy was put up while we ran our session and was ready for use in three hours. The team tidied as they worked." "May we say that at this time we are extremely satisfied with the canopy and also the quality or work and the attitude the team of installers displayed. They took every care not to disrupt the nursery in any way and were fully aware of health and safety aspects on site. They were also very polite whenever spoken to. Once again many thanks and we give you our assurance that we will recommend you to our neighboring schools and nurseries, in fact I have already spoken to the Head of our local Junior School, who may be looking for some work in the near future." "We would definitely recommend Able Canopies to any school. And the canopy lets the light through, looks very sturdy, service with a smile and lots of good cheer even when stuck in the mud!" "An efficient service from start to finish. All of my staff who have seen the canopy are impressed and can't wait to use it with the children. It has extended our classroom brilliantly"
"The team were friendly, efficient and were excellent on site. They provided an excellent level of service and were sensitive to working on site during a 'normal' school day." "Thank you for a professional service of a quality product. The children are looking forward to using it!" “I have used Able Canopies to install two shelter outside of our Nursery and reception buildings in order to develop our outdoor learning. We have also had a shelter installed for parents who are waiting for their children to offer protection from rain as well as very bright sunlight. I have been extremely impressed with the Company who have been very professional and have delivered an excellent service. The administrative team in the office have always been very polite, knowledgeable and would keep me informed as to how things were progressing. The team who installed the shelters caused no disturbance whatsoever and we had all three installed during term time. The job was carried out very efficiently and well within the time allocated for the job. "The children and staff at Colnbrook School are very pleased with the new canopy. From the very first phone call to the last screw being fitted, the company was courteous, hardworking and extremely helpful. We were very impressed with the professionalism and workmanship of the team who installed the canopy - which was put up it record time! We would thoroughly recommend the company without reservation." "After a slight delay due to not taking the very large oak shutters into consideration the team provided an excellent service. The surveyor on his second visit was on time, listened to our requirements and provided a very professional service. The local council insisted we applied for planning permission and again the Able team provided invaluable help in setting up the planning application. Many months later (delays caused by the council) I confirmed the order and within days the canopies were fitted by a team of excellent expert fitters. The job was completed exactly as planned and we now have 2 canopies one which allows outdoor activities for the playgroup and the other as shelter for the elderly and disabled buggies. The whole team provided a professional service and I have no hesitation in recommending them and will use the company again." "I would like to take this opportunity to say a big thank you to you all at Able Canopies for our amazing new outside EYFS area. The children and staff love it and are pleased to use it right through the year. It has made such a difference to the experiences our younger children have."